While much of the nation digs itself out from snowdrifts and bundles up against the elements, we in Northern California can enjoy some delightful mid-winter weather, especially out at the coast, where it's often warmer than it is inland at this time of year. One favorite coastal destination for families is Drakes Beach at Point Reyes National Seashore. Drakes beach's popularity has much to do with its sheltered location, amenities, convenient location, and beautiful scenery. Drakes Beach can also serve as a jumping off point for further exploration of Point Reyes, especially during the winter and spring when the winter shuttle bus program is in place. Drakes Beach—named after Elizabethan seafarer Sir Francis Drake, who in all likelihood paid a visit to the area with his ship The Golden Hinde in 1579—is situated on the shores of Drakes Bay at the southern end of the Point Reyes Peninsula. Backed by dramatic white sandstone cliffs, Drakes Beach is sheltered from the weather by Point Reyes itself, so when it's windy and foggy and inhospitable at the lighthouse or North Beach, it will often be warm and sunny at Drakes. Unlike many other beaches at Point Reyes, Drakes Beach is that you can pretty much drive your car right up to the beach, which is a boon for parents laden down with strollers and sand toys and picnic gear. Many of the other beaches in the area require a short hike to reach them, but here you can just head out of the car and hit the sand immediately. Stop first at the Kenneth C. Patrick Visitor Center to learn about the history and environment of the area. There's a whale skeleton and fossils to check out, as well as displays and artifacts related to the 16th-century exploration of Marin's coast, with a focus on both Drake's visit and the wreck of the Spanish Manila galleon San Agustín, which foundered with its cargo of porcelain, silks, and gold in Drake's Bay in 1595. This is also where you'll find restroom facilities, an outdoor shower, and the Drake's Beach Café. There are also picnic tables and barbeque grills nearby. Due to its sheltered location Drakes Beach is actually good for swimming and wading, which is not something you want to try at most of the other beaches in Point Reyes (although the beaches at Tomales Bay State Park, like Heart's Desire Beach, are great for swimming). Even if it's too cold to swim, there are miles of sandy beach on which to run, play, build sand castles, and explore. Beach fires are allowed at Drakes Beach, too, although you'll need a permit; check in at the visitor center on the day of your visit to get one. You'll also find some short hiking trails that allow you to explore the bluffs overlooking the beach. As you can see in the photo, we got lucky and ran into an Elephant Seal hauled out on the middle of the beach. My kids were in awe to be so close to such a big creature—the docent on hand estimated it weighed 1,500 pounds (which is small by Elephant Seal standards). Drakes Beach is also the site of Point Reyes' annual Sand Sculpture Contest that takes place every Labor Day weekend Sunday. There are competition categories for children 14 and under, families, adults, and adult groups. During the busy winter and spring wildlife-watching and wildflower season from late December through April, Sir Francis Drake Boulevard south of South Beach is closed to public vehicles on weekends and holidays to cut down on traffic congestion. Board the park's shuttle buses at Drakes Beach to head to the Point Reyes Lighthouse and Chimney Rock, where you can look for migrating gray whales and observe the colony of Northern Elephant Seals. Shuttle buses—which are actually big Marin Airporter motor coaches—leave every half hour from the Drakes Beach parking lot starting at 9:30 am. Buses go to the Point Reyes Lighthouse, then Chimney Rock, and then back to Drakes Beach. Tickets are $5 per person; children 16 and under are free. Get your tickets at the Kenneth C. Patrick Visitor Center starting at 9 am; they take cash and credit cards. Tickets are available until 3 pm, and the last bus leaves Drakes Beach at 3:30 pm. In the even of poor weather, the shuttle bus service may be canceled; call (415) 464-5100 ext. 2 for a weather update if you're unsure about conditions. We recommend getting there early, as it gets increasingly crowded as the day wears on and more and more tourists and day trippers arrive. The buses can be at full capacity on busy days, and you'll often have to wait in line to board (and you know how fun that is with a couple of little kids in tow). The trip to the lighthouse takes approximately 15 minutes, and the road is narrow and winding. If you're thinking of visiting the lighthouse or Chimney Rock via shuttle bus, plan on making a day of it to accommodate transit time, lines, and walking. Another reason to get going early is that heavy fog can roll in in the afternoon, ruining your chances of seeing any whales, as we found out on a recent Saturday. One of the other things Drakes Beach has going for it is Drake's Beach Café. It's the only restaurant on park grounds, so if you don't pack in your own chow, this is it. Fortunately, it's a really good spot to grab a bite to eat or a cup of coffee or hot chocolate. Ingredients are fresh, sustainable, and often locally produced, prices are reasonable, and service is friendly. There are also plenty of kid-friendly choices on the menu. Drake's Beach Café is rustic and cozy, with large picture windows overlooking the beach and the ocean. Plenty of outdoor seating is also available for when the weather cooperates. Order at the counter, take a number, and they'll bring your food to you. We tried their signature New England clam chowder ($8), which was tasty, not too heavy, and spiked with fingerling potatoes, carrots, and fresh thyme, a grilled cheese sandwich on Brickmaiden sourdough bread ($7), and grilled Niman Ranch hotdogs ($6.50). Sandwiches were served with a small salad of baby greens. Kid-specific items available included a kid-sized hot dog ($4) and the requisite chicken fingers and fries ($4.50). You can also get fresh local oysters ($13 for a half-dozen, $7 for three), fish and chips ($12), Niman Ranch burgers ($9), and more. The café's hours vary depending on the season. Right now, it's open for lunch Friday through Monday from 11 am to 5 pm, but hours expand during spring and summer. 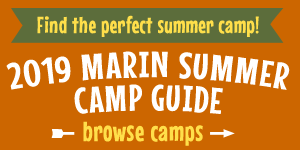 If you're not going on a weekend, it's a good idea to call first to confirm hours: (415) 669-1297. They take cash or credit cards (with a $10 minimum charge). Visit them online at www.drakescafe.com. Weather can be quite unpredictable out in Point Reyes, so the usual layered clothing and sun protection are a must. This is one of the park's few designated swimming beaches, but no lifeguard is on duty, so enter the water at your own risk. While Drakes Beach doesn't have the sneaker waves and rip currents that make the other Point Reyes Beaches unsuitable for swimming, water temperatures can be extremely cold. Dogs are not allowed at Drakes Beach, although you can bring them to some of the ocean-facing beaches nearby. Drinking water and restroom facilities are available at the Kenneth C. Patrick Visitor Center. The visitor center itself is usually open weekends and holidays from 10 am to 5 pm; it opens at 9 am for shuttle bus ticket sales and offers expanded hours during the summer (restroom facilities are always open). For more information on visiting Drakes Beach, visit www.nps.gov/pore or call (415) 464-5100. To get to Drakes Beach, take Sir Francis Drake Boulevard west to Highway 1 in Olema, then take Highway 1 north and turn left onto Sir Francis Drake Boulevard (just after the Marin Sun Farms shop and just before you get to Point Reyes Station). Alternately, take Novato Boulevard or Lucas Valley Road and Nicasio Valley Road west to Point Reyes–Petaluma Road and follow it to Highway 1. Turn left on Highway 1 and head through downtown Point Reyes Station, then turn right after the bridge onto Sir Francis Drake Boulevard. Follow Sir Francis Drake Boulevard through Inverness out to into Point Reyes National Seashore. Keep going until you get to the Drakes Beach Road where you'll bear left. There's plenty of free parking in the Drakes Beach parking lot, although it can fill up quickly on nice days, especially when it's really hot inland. Expect about a 35-minute drive from Point Reyes Station to Drakes Beach.